Cancellations made less than Seven (7) days prior to the arrival date will incur a 100% charge of the first night booked plus tax. If the room you are booking is labeled as non-refundable, non-cancellable or similar, all cancellations will incur a 100% charge, regardless of the date in which the cancellation is requested. If arriving after hours, please call (928) 282-7301 before 7:00 pm for late check-in instructions. 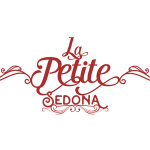 La Petite Sedona is a mid-century property located in Uptown Sedona. Conveniently located within walking distance to all Uptown shops and dinning.